Leading edge anti-ballistic armor systems integrating the latest in enhanced multi-hit performance and durability in ceramic armor systems. McKinney, Texas (May 2018) Diamond Age, a materials science and engineering firm focused on the R&D of leading-edge anti-ballistic armor systems announce their new rifle resistant Bastion Helmet and the Forcefield armor. In addition to their work with ceramic materials and armor alloys, Diamond Age is a leading producer of boron nitride nanotubes for ceramic reinforcement. Boron Nitride Nanotubes are a nanomaterial that strengthens metal, glass and ceramic composites. Diamond Age is able to offer this material in an 80 – 90% purity and in a dense form (HD-BNNT) suitable for composite production. The BASTION Helmet is the first combat helmet that can withstand direct hits from all common rifle rounds including steel core rounds, at muzzle velocities. It has been tested and withstood rounds from 7.62 x 51mm M80, 7.62 x 39mm PS ball, 5.56 x 45mm M855A1, 5.56 x 45mm M193, 5.7x28mm SS190, and various handgun and SMG threats. It is augmented with an ultra-lightweight carbon fiber and ceramic strike-face and designed for extreme use in the field. The BASTION helmet is completely modular featuring a full 5-plate configuration which covers the entirety of the helmet shell for manning turrets, vehicular patrols and tactical raids and entries. Infantrymen can configure to a lighter set up using on the front and back tiles, while snipers may choose to wear only the front tile. The BASTION accommodates Wilcox® shrouds without sacrificing any coverage and M-Lok rails are also available. 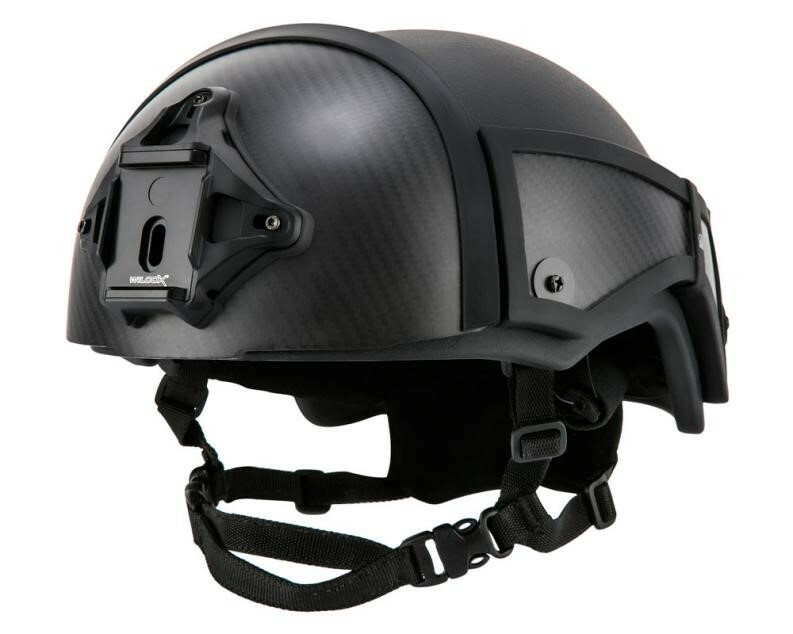 The helmet includes the industry’s most advanced padding system, from 4D Tactical, for comfort and optimal performance against high-impact rifle rounds. The Diamond Age Forcefield armor panel offers superior protection from a variety of high-velocity SMG special threats such as 7.62 x 25 mm Tokarev (over 1700 fps), 5.7 x 29mm (over 2100 fps) and the HK 4.6 x 30mm (over 2000 fps). Further handgun special threats tested and defeated include 80-grain solid copper 9mm SCS rounds. Knives, spikes and needles have also met their match with the Forcefield. 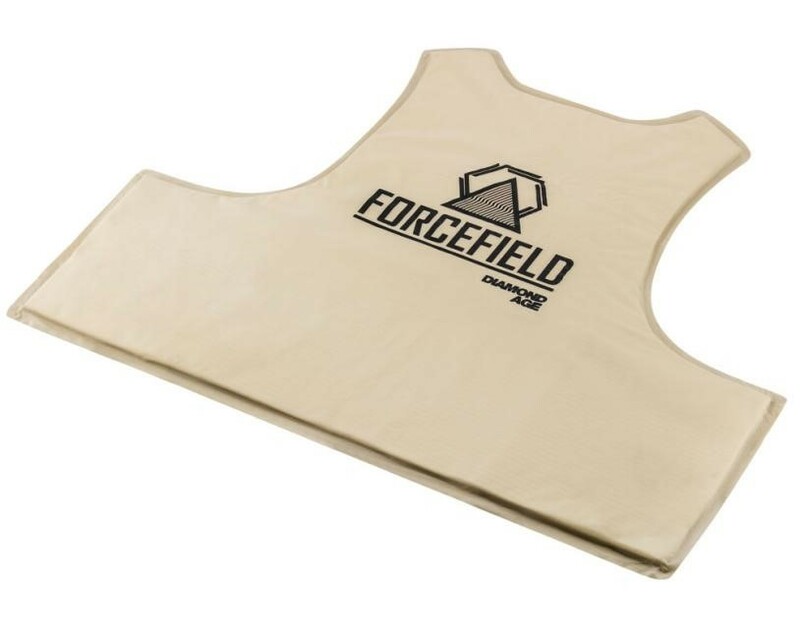 The Forcefield also exceeds the military’s requirement for military-grad frag with a V50 against the 16fr RCC tested at over 2180 ft per second. Yet the Forcefield for all its protective qualities is as thin and light as the average soft armor panel in its class at just 6.8mm and 1.17 pounds per square foot. Designed for uncompromising protection for SWAT, military and high-risk security personnel, the Forcefield is available in BALCS-cut panels and BALCS armor carriers are also available.  Diamond Age is a materials science and engineering firm that focuses on the research, design, and development of leading-edge anti-ballistic armor systems. Current research projects involve work in new ceramic materials, new armor alloys, and boron nitride nanotube reinforcement of armor materials.